Vacation is over! Back in the big bad city, jumping back into Ancient Future we ran our beautiful act three today and a lot of things clicked with me. I am so happy and proud to share this new exciting work with people! 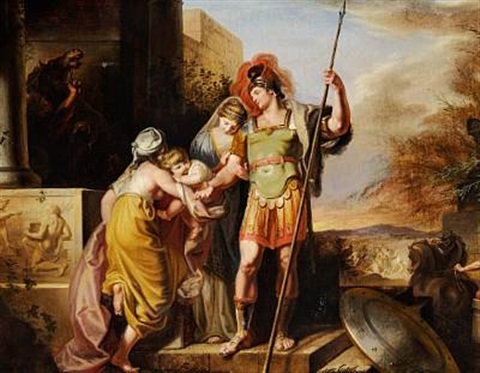 I also called into my Daughters of Elysium meeting and am currently working on my own translation of Andromache which has been so hard and difficult to find time for. I will have 20 pages done by the end of the month and we will hopefully be presenting it as a workshop! More details to come once the company releases it!
" Andromache was a woman envied by all in days gone by but now I am the definition of misery...This is the land where Thetis, the sea goddess dwells, far from the fleeting company of men, she dwelled as the wife of Peleus...Sunken deep into my own misfortune I have been drawn out by the birth of my son. He gives me hope, if the child lives I will find the strength"
These sentences just scream D.O.E. to me, eerie, femine, daughter/goddess/mother/witch! ALL OF THE THINGS! We are using the Stewart/Smith and Nims' translations as inspo, as well as my own delving back into my Ancient Greek books and making my own choices! And Measure for Measure tomorrow! Filming an audition tape to play a lady boxer badass! VVV BUSSYYYY but creatively fulfilled.